GE Security, Inc. announced its intent to respond to the RFI (request for information) for conveyance security devices issued by the Department of Homeland Security’s Customs and Border Protection. GE’s CommerceGuard monitors for theft, smuggling, international terrorism and other threats while a container is being transported. CommerceGuard reports container breaches and tracks the journey of the container as it provides container security data. The readers forward encrypted security and tracking information wirelessly to the global CommerceGuard Information Network where it is accessible by authorized shippers and customs officers. GE Security, Inc., a wholly owned indirect subsidiary of the General Electric Company, today announced its intent to respond to the RFI (request for information) for conveyance security devices issued by the Department of Homeland Security’s Customs and Border Protection. GE Security welcomes issuance of new requirements and is reviewing them to determine their applicability to the cutting-edge CommerceGuard solution. GE Security believes the new requirements represent an important milestone in the evolution of port security and set the stage for broader use of approved container security devices on shipping containers entering U.S. seaports. Today, shippers use CommerceGuard container security devices (CSDs) to help ensure the security of cargo containers, streamline port transit and increase supply chain efficiencies. CommerceGuard, already deployed at more than 20 ports worldwide, has helped protect thousands of shipments from all major continents. “Thanks to the many pioneering ports and shippers that have already chosen to adopt CommerceGuard, this advanced technology solution is well-positioned to help ensure the safety of the world’s ports and cargo container shipments,” said Randy Koch, GM, GE Security cargo security and president and CEO, CommerceGuard. CommerceGuard, a leading solution for global supply chain security, monitors for theft, smuggling, international terrorism and other threats while a container is being transported. CommerceGuard offers two main benefits today: it reports container breaches and tracks the journey of the container as it provides container security data. Every year, some 12 million containers enter U.S. seaports – more than 30,000 every day – from foreign destinations. 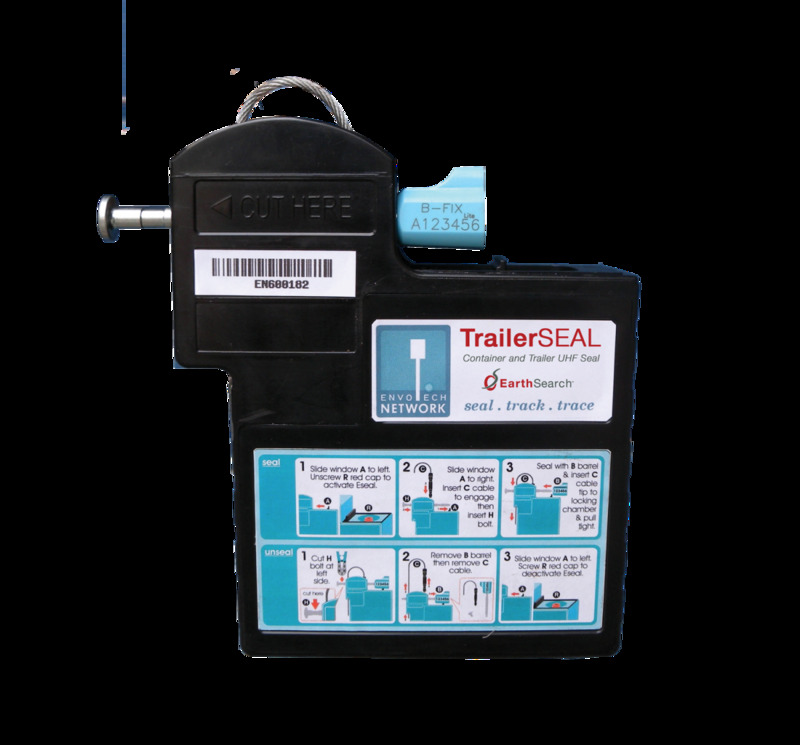 Almost all of them use simple external physical security devices such as numbered bolt seals. These low-tech devices can be easily tampered with and bypassed to allow containers to be opened without the knowledge of shippers or security authorities. This means anything from weapons to drugs, explosive or nuclear devices – even terrorists themselves – could be inserted without detection into cargo containers being transported to U.S. ports. The CommerceGuard CSD is mounted inside a container as it is being stuffed for shipment to monitor for and report on potential en route tampering. While in transit, CSDs communicate securely with fixed and handheld readers. The readers then forward encrypted security and tracking information wirelessly to the global CommerceGuard Information Network where it is accessible by authorized shippers and customs officers. The CommerceGuard system, including the CSD and Information Network, is commercially available today through a global business collaboration consisting of GE Security, Mitsubishi Corporation, Samsung Corporation, and Siemens Building Technologies. CommerceGuard is adding an important layer of in-transit security and visibility to intermodal freight shipments. The CommerceGuard Information Network is globally established in many seaports around the world and is scheduled for additional deployments throughout 2008. GE Security, Mitsubishi Corporation, Samsung Corporation, and Siemens Building Technologies jointly own the CommerceGuard container security solution. CommerceGuard features the first market-ready container security device (CSD) that is located inside an intermodal cargo container and registers door openings. The CSD communicates with fixed and handheld readers to send alerts of security breaches and to record shipment status in the CommerceGuard Information Network, where data is accessed at no additional charge by customers and government officials from anyplace in the world. Learn more at: www.commerceguard.com. GE Security, a wholly owned indirect subsidiary of the General Electric Company, is a leading supplier of security and life safety technologies, with operations in more than 35 countries and $1.8 billion in annual sales. GE Security offers one of the industry’s broadest product portfolios, covering explosives and narcotics detection, intrusion and access control, video surveillance, key management, and fire detection. GE Security’s products are used to protect people and property across a wide range of industries, including aviation, law enforcement, banking, education, healthcare, mass transit, residential and retail. GE Security was honored with Frost & Sullivan’s 2007 Global Market Leadership Award for Container Security Devices for its CommerceGuard container security solution. For more information about GE Security and our products, please visit www.gesecurity.com.